Ticks, ticks go away, come again another (non-fall) day. If you're worried about ticks ruining your fall bliss, know that you're not alone! October is a great time of year for staying outside and enjoying your property, but is also notorious for being a high-risk tick season in certain parts of Canada. That's something we're definitely not thankful for! 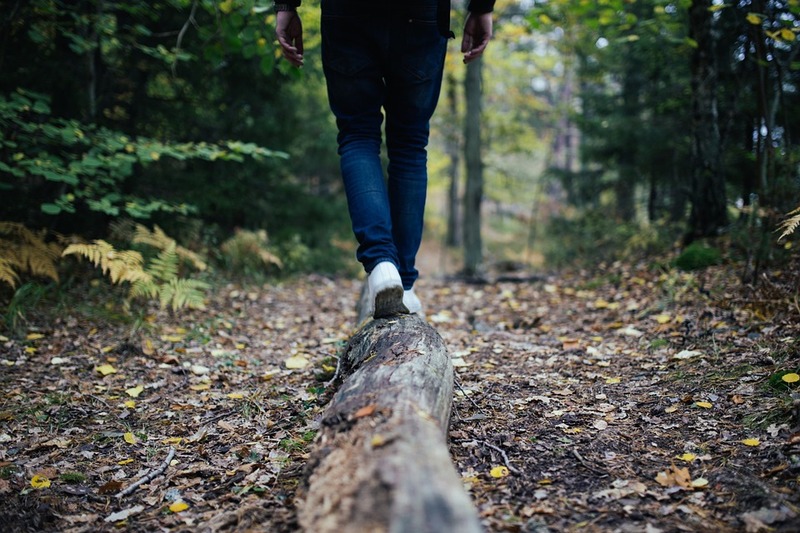 Knowing how to protect your property from ticks is of the upmost importance, especially if you and your family plan to spend lots of quality time outside, enjoying the crisp air. 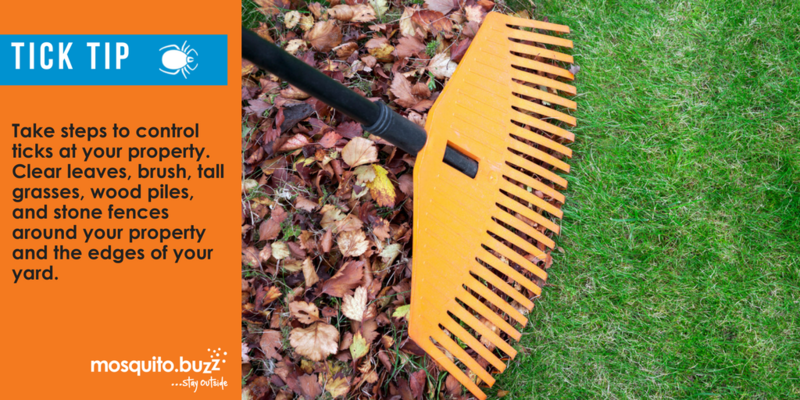 Planning to do some fall yard work this weekend? Read on to learn more about our mosquito.buzz tips for protecting yourself and your property in fall. Keep your grass mowed and your hedges trimmed, folks! It will not only look great for the in-laws on Thanksgiving, but also eliminate potential questing areas that ticks use to rest and hide during their fall search for a blood meal. Remember; ticks can't fly or jump, so they are forced to hang around on tall grasses, leaves, or wood piles in order to find their target. So the shorter the grass and shrubbery on your property, the less of a chance there is for a tick to quest, undetected. Just like mosquitoes do, ticks have a sensory organ that picks up on chemicals and odors in the air, including your breath. C02 gets ticks excited just like it does for mosquitoes, and that very scent lets them know a potential host is near... especially if you're smelling like a pumpkin spice something or other! Here at mosquito.buzz, we know that jumping into a ginormous pile of crispy leaves is one of fall's greatest pleasures. Kids, adults; no one can resist! However, you'd be wise to clean up any leaf piles left on your property as soon as possible (or just as soon as that first leaf cannonball is over and done with). Ticks enjoy perusing in dark, undisturbed areas, and could become comfortable in your leaf pile if it's left out in the open for too long. The scary thing is, you and your family could be exposed to a tick and not even know it! Use insect repellent containing DEET, picaridin, or permetherin. Wear closed-toe shoes and long-sleeved clothing when doing yard work. 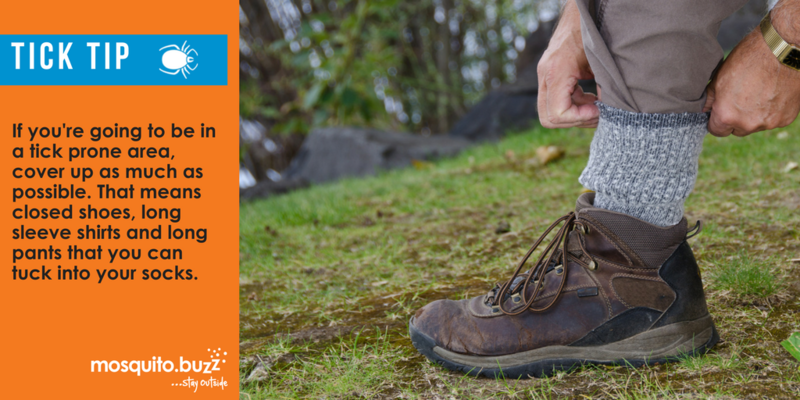 Tuck your pants into your socks when working outdoors. You'll look a tad goofy, but it works! Plus, most fall fashion looks silly anyways, don't you think? Wear light coloured clothing to help you spot potential ticks easier. Wash yourself as soon as you get home to get rid of any loose ticks. Do a full body check on yourself, your kids, or your pets if you've come back from a tick prone area. 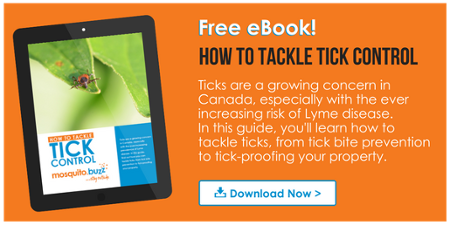 For more info on tick control, click below to download our free eBook. Plus, follow us on Facebook for more tick and mosquito control tips.